This book provides a fresh, engaging multi-disciplinary introduction to religion in contemporary America. 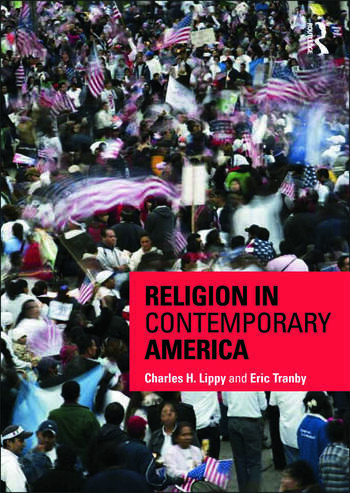 The chapters explore the roots of contemporary American religion from the 1950s up to the present day, looking at the major traditions including mainline Protestantism, the evangelical-pentecostal surge, Catholicism, Judaism, African-American religions and new religious movements. The authors ask whether Americans are becoming less religious, and how religious thought has moved from traditional systematic theology to approaches such as black and feminist theology and environmental theology. The book introduces religion and social theory, and explores key issues and themes such as: religion and social change; politics; gender; sexuality; diversity; race and poverty. Students and instructors will find the combination of historical and sociological perspectives an invaluable aid to understanding this fascinating but complex field. Preface Part One: Setting the Stage 1. Classical Theories of Religion 2. Contemporary Sociological Theories of Religion 3. The Changing Faces of History Part Two: Mainline Religions in Historical and Sociological Context 4. Mainline Protestantism: The Erosion of Cultural Dominance 5. The Evangelical Surge 6. American Catholicism: A "Ghetto" Church No More 7. Contemporary Judaism: The Interplay of Religious and Cultural Identities 8. Transmitting Religion 9. Religion, Politics, and Government 10. Gender, Sexuality, and Religion Part Three: Moving Beyond the Mainstream 11. African American Religion: Community, Conflict, and Change 12. Religion, Race, and Poverty 13. Faiths on the Margins 14. The Mormon Perspective 15. Religion and Social Change Part Four: Where American Religion Is Heading 16. Spirituality’s Challenge to Religion 17. Contemporary Religious Thought: From Tradition to Experience 18. A New Pluralism comes to America 19. Is America a Christian Nation? Religious Pluralism in the 21st Century. Charles H. Lippy holds the LeRoy A. Martin Distinguished Professorship of Religious Studies at the University of Tennessee at Chattanooga, USA. Eric Tranby is Assistant Professor of Sociology at the University of Delaware, USA.